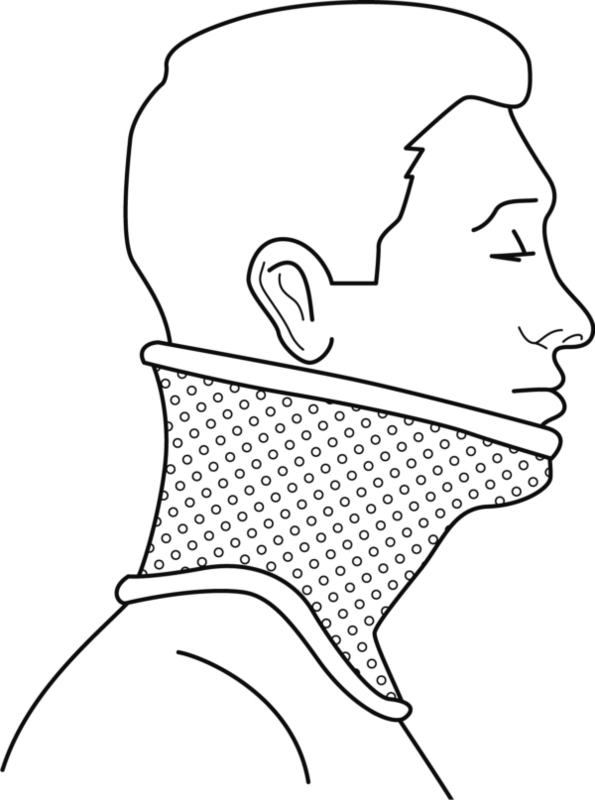 Place the pattern under the chin and ask the patient to hold it with the index finger. 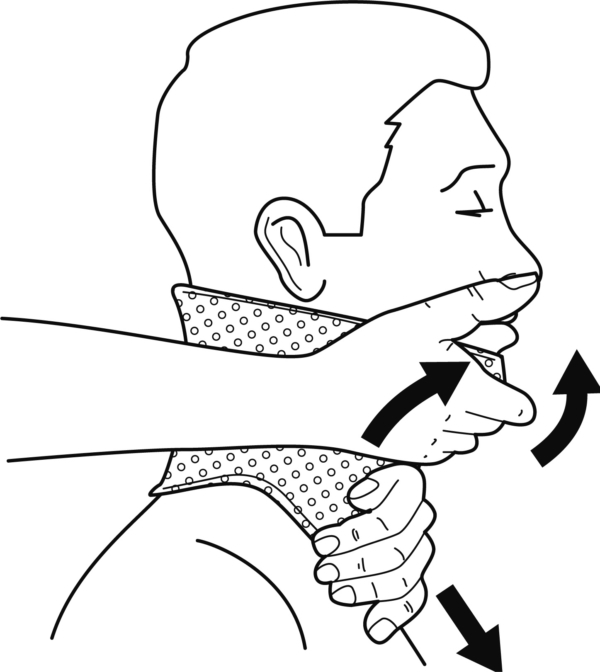 Stretch the pattern sufficiently so that the two edges can be firmly stuck together. 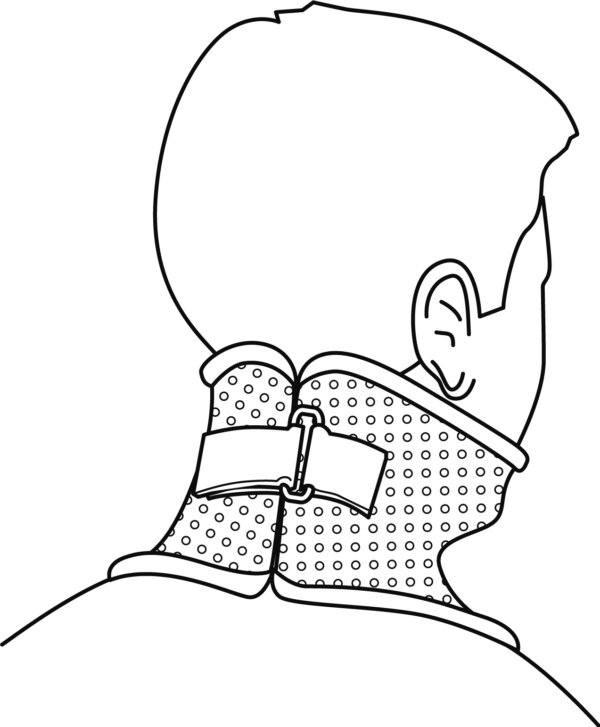 Place the patient’s head as desired and smooth the material, particularly around the support areas (chin and sternum). Finishing: Carefully finish off the edges, and apply Orfilastic edging tape. 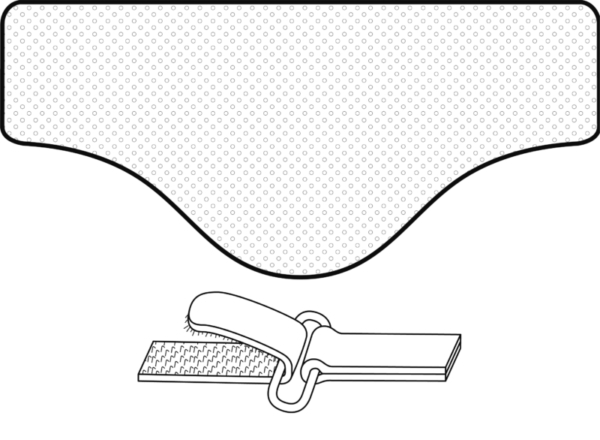 Fixation: Stick the two-sided loop of a D-ring closure system by heating the splint material, and use a self-adhesive hook and loop tape on the opposite side.